Three items received from New Focus Recordings in New York. Trois Hommages (FCR214) is an excellent set of challenging piano music. 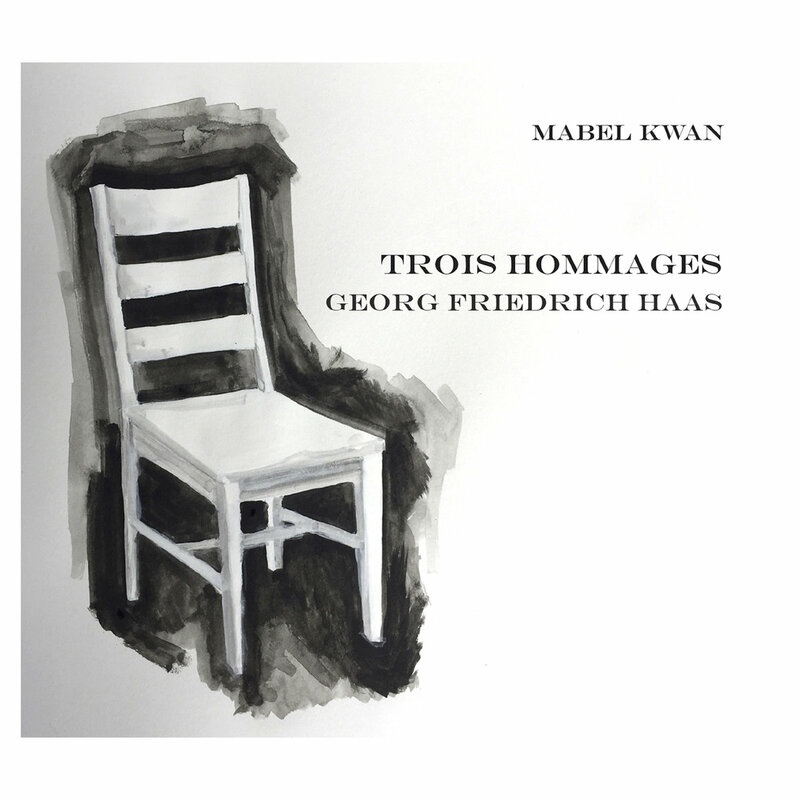 Georg Friedrich Haas is the composer, the works are played by Mabel Kwan from Ensemble Dal Niente. Haas is an Austrian contemporary composer with big and adventurous ideas about advancing classical music, taking liberties with equal temperament, insisting on unusual tunings for instruments, working with overtones and microtones; as an earnest of his deep commitment to complexity and difficulty, there’s a 1994 piece whose name cannot even be pronounced. On Hommages, the work demands two pianos, one of them tuned down by a quarter tone. This retuning may not sound like much on paper, but it has the effect of “doubling down on equal temperament”, and one result is a 24-note scale. To advance his ideas about deconstruction of this system, which he evidently regards as a mere convention of history and a compromise which we have accepted through centuries of conditioned listening, Haas pays homage to three composers who have achieved similar benchmarks in this area: microtonal genius Ligeti, twelve-tone devotee Hauer, and serialist Reich, and the intention is that these be seen as three movements of the same composition. On the Ligeti section, there are some highly complex sonorities to savour as these two pianos create dense clouds of weird mixed chords through the largely percussive attack that’s required; it’s as though the two instruments are struggling to find common ground, resulting in perpetual tension. Dramatic and intense…certainly I found it preferable to the Hauer piece, which is a rather dry series of arpeggios and scales, that are mostly used to demonstrate how pronounced this quarter-tone difference really is. Apparently Josef Matthias Hauer was more of a diehard 12-toner than Schoenberg, even; he couldn’t wait to issue his “law of twelve tones”. Though Haas’s piece may seem a bit schematic, at least it sticks to the point with a certain rigour and focus; if you like to combine your academic studies with music listening, this might be just the piece for you. The CD ends with the 22-minute Reich homage, which stresses the rhythmical pattern-making side of this maverick American composer. At this point I’m prepared to award the Golden Patience-Of-Job award to Mabel Kwan, who falters not for one instant on what must be an incredibly demanding performance of intricate compositional designs threaded across two keyboards. To put it mildly, she’s like a superhuman sewing machine trying to embroider a medieval tapestry. With this Reich piece, I’m digging the repeated figures and ghost patterns that appear in the ever-shifting flow of tiny high notes, though it’s some way from the benign minimalism I associate with the American school. Could be that Haas is over-simplifying Reich in order to prove his point about the exigencies of equal temperament; I do sense something rather pinched, rigid even, in the music – like a closely-argued point of philosophy that admits of no debate. Even so, the point remains tattooed on the listener’s forehead, and no amount of scrubbing will remove it. Where now for the future of Western composition? 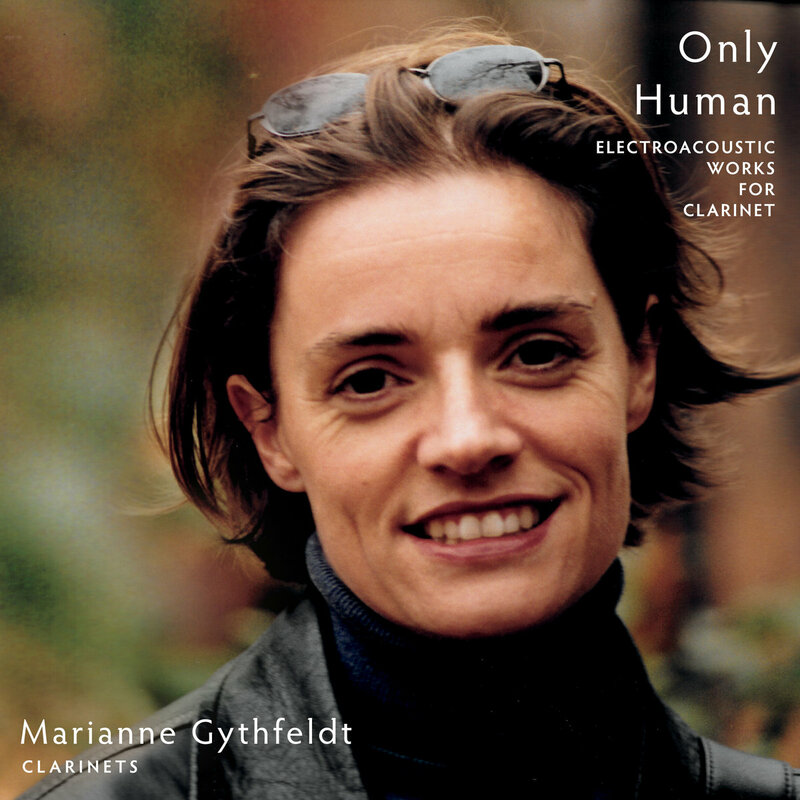 Clarinettist Marianne Gythfeldt performs a number of contemporary compositions on Only Human (FCR 220), a set which is subtitled Electroacoustic Works For Clarinet. In each case we hear her interacting with various set-ups, be they live electronics, computer-generated music, or pre-recorded electro-acoustic music. The contributing composers are John Link, Mikel Kuehn, David Taddie, Elizabeth Hoffman, Eric Lyon and Robert Morris, and Gythfeldt’s stated aims with this set are largely personal, deriving from the satisfaction and intellectual curiosity for what she calls “discovery of new sound worlds”. One of the pieces has links to Benny Goodman, another to Stravinsky; a third attempts to comment on the work of Walter Benjamin in the form of an audio essay. Of all these, only the Elizabeth Hoffman piece appealed to me; her ‘And When White Moths Were On The Wing’ has a delicacy and restraint that transcends the mechanics by which it was made, and it is informed by a certain amount of poetry, mythology, and interest in dreams. Further, Gythfeldt contributed directly to its creation with her improvising skills. The remainder of the programme, while very competently done (Marianne Gythfeldt is an immaculate performer), appeared to me as a set of formal exercises in technique, and the electronic dimension was not explored in a particularly bold or innovative manner. Dalia Raudonikyte-With is a Norwegian-born composer who grew up in Lithuania and spent a number of years in New York City, enabling her to form connections with members of the International Contemporary Ensemble. 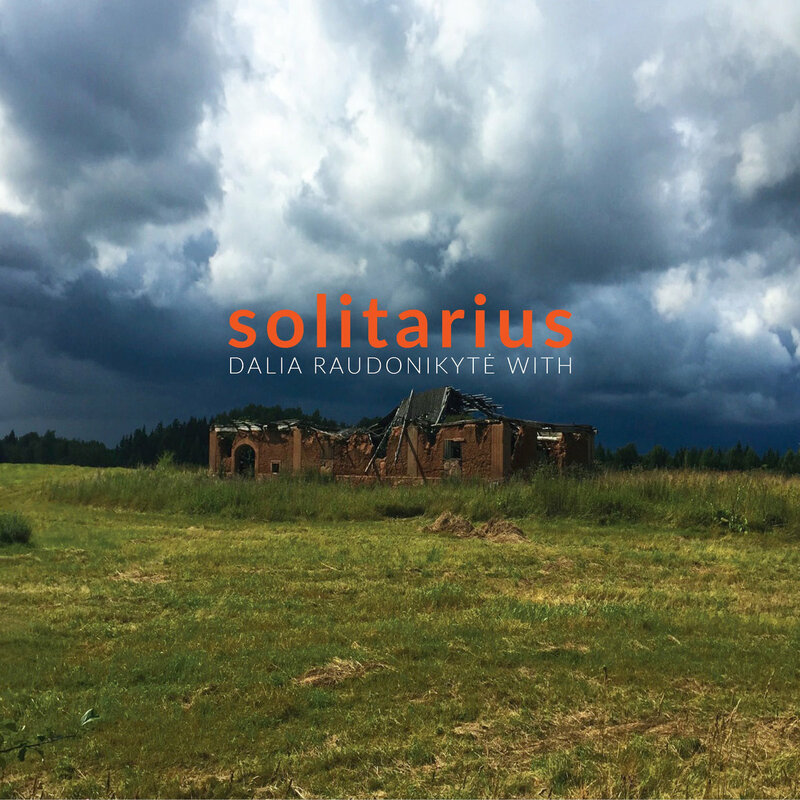 Her Solitarius (FCR186) contains six compositions, mostly realised for solo performers, although ‘Grues Et Nix’ is an orchestral piece, and on ‘Ventus’ the saxophone playing of Rolf-Erik Nystrøm is supplemented with live electronics from the composer herself. I gather one of her techniques was to begin with a compositional theme, and reuse short segments of it throughout the work to create new structures and thus advance the “underlying plot of dramatic development”, as the MIC Lithuania describes it. Of these, I liked moments of ‘Ventus’ because of the way it explores timbral changes created by saxophone and electronic pairings, but I couldn’t get too excited; Anthony Braxton and Richard Teitelbaum did this on Time Zones with far more boldness and passion. The rest of the set struck me as rather ordinary chamber music. All the above from 5th October 2018.